Commentary: When the pictures first got out it seemed pretty dull, but it turns out this new Leia is pretty good. Princess Leia Organa isn't super-articulated, but she's close. This finely sculpted figure has no ankle joints, but everything else moves about as good as you can reasonably expect. In addition to her puffy snow suit, she has some metal bits sculpted on and it looks like she would be right at home in a nice Hoth playset. (If you want one, I suggest getting either of the originals from Kenner in the 1980s.) If you have a big Millennium Falcon you should probably get her just to flesh it out, and then you can complain that there still isn't a top-notch Bespin Han to buy yet. Her hair is a little dark, and her skin is a little pale, but other than that our space princess seems to be basically the right color when compared to photography from the film. This figure is so much better than the 1998 one it isn't funny, so it's a clear improvement over any previous version of the character in this outfit. There isn't much else you can do with her that would be reasonable at this stage, so hey Hasbro-- good work! Who's next? Collector's Notes: The figure hit in June 2010, but the street date was initially said to be August. (When I see it, is when it is out.) She's good enough to buy, so if you see her, grab one. According to some, she's one of the more popular new Vintage figures but at press time it isn't much of a challenge to grab them all. This Leia is great... of course this incarnation of the character was my fave back in the "original" vintage days. "Her hair is a little dark, and her skin is a little pale..."
Which is exactly why I'm passing. A bad looking head makes me forget all about a great sculpt. At $8 or more in this vintage "Collector's line", the lack of ankles is a let down. This is Leia's more action outfits, not like the Bespin gown or Ewok celebration. So, they left room for improvement, which arguably undermines the whole damned point of this series. While I'm entirely less enamored of the Vintage line than most collectors seem to be, this one is such an improvement that getting it was really a no-brainer (and replacing her previous incarnation on the shelf amply demonstrated how far sculpting on these figures has evolved in the last decade). She's probably the most necessary, in terms of upgrading an old figure, in the line. Quabbles about minor issues seem nitpicky given the figure's quality. For me, Leia and the AT-AT Commander are the two highlights of the first TVC wave. Bravo: Excellent point! 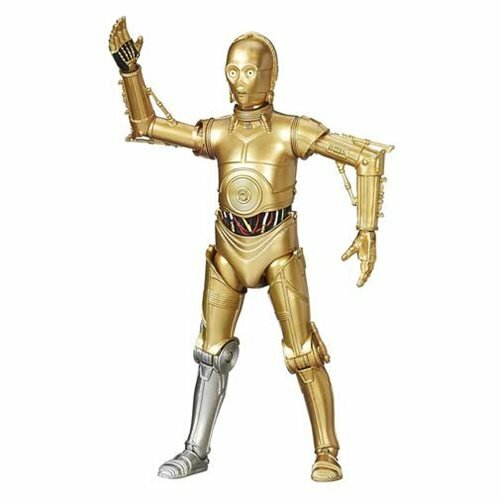 What's the point of "vintage" if Hasbro leaves out features (such as Leia's immobile ankles) that collectors are expecting? Answer: "Vintage" is just a branding name to Hasbro. 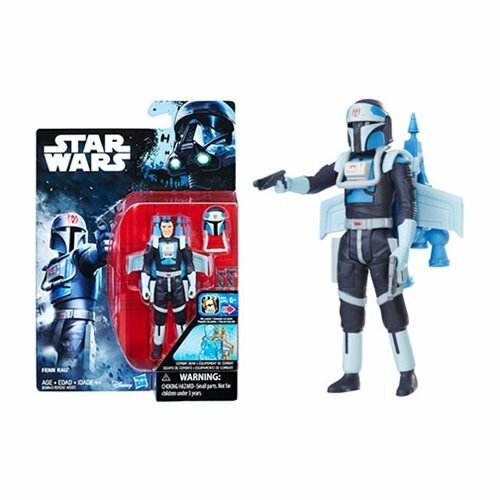 If they meant it, then we wouldn't be getting straight repacks like 4-LOM and Boba Fett. 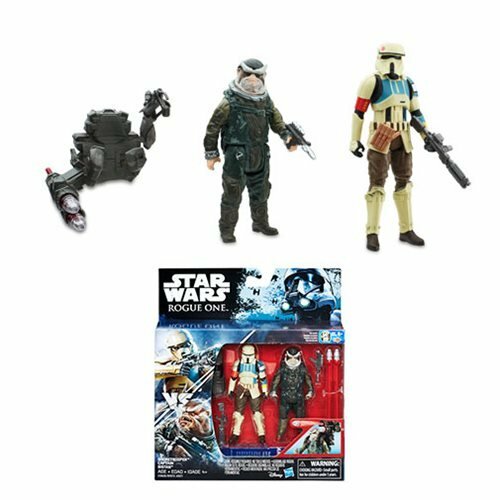 Speaking of the premiere bounty hunter, I still haven't seen it in stores, which, to me, indicates that not all of the first wave is readily available. Back to the princess for one final point: I'd forgotten that the original card back labeled her simply as "Leia," not "Princess Leia" or "Leia Organa." So, it seems that the ROTS "Padme" labeling was not without predecent. This collector isn't expecting ankle articulation in this figure. I'd much rather have no "cankles" and a usable peg hole. 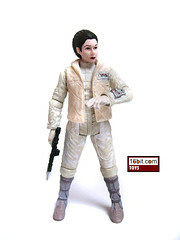 This is, hands down, THE best Leia figure Hasbro has cranked out since the line's inception. I don't understand for the life of me people's arguments regarding the lack of ankle joints when they say this is an "action oriented" outfit. All Leia did in this outfit was stand around and run away. She saw more 'action' in her white dress from A New Hope than she did in this outfit. I've bought a couple of these, and modded one to look like the "Antique Force Detail" April Fool's Joke over at Rebelscum, and another I swapped hands with the Legacy Collection's Slave Leia, gave her Han's welder and Major Panno's goggles to recreate her look from the Falcon Repair sequence. True, she may not be the most 'fun' figure in the wave, but for my $8, she's the best.